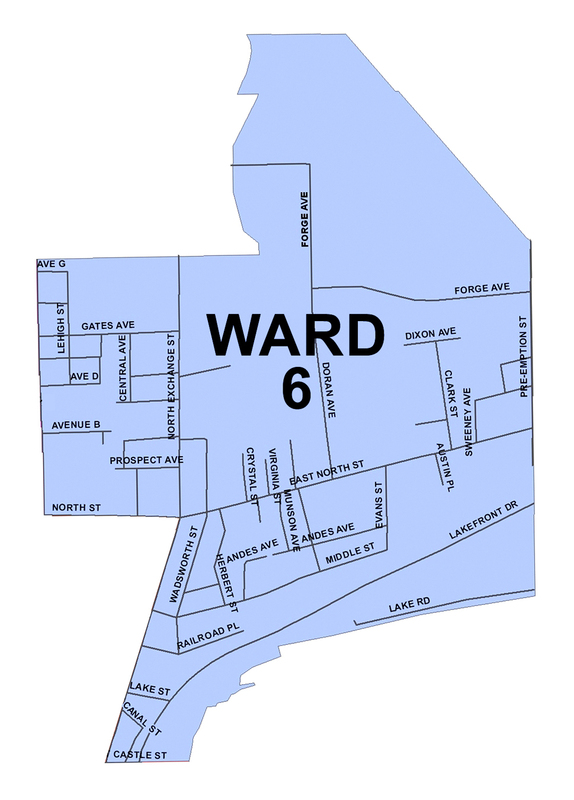 Ward 6 has been without an elected representative on City Council since late February. City Council is responsible for appointing a new Ward 6 councilor, but sources tell Geneva Believer that City Council plans to leave the seat empty until after the 2019 election as a gesture of “respect” to “honor” the late Ward 6 Councilor John Greco. At the April 3, 2019 City Council meeting, Council provided no updates on the selection process for the new councilor. The Ward 6 vacancy was never mentioned. Reports say that soon, City Council will officially declare their refusal to fill the seat, which will literally leave residents of Ward 6 without a voice in city government for a full nine months. Democrats hold a 5-3 advantage on Council, so it is expected that the newly appointed Ward 6 councilor would be a Democrat. According to insiders, the Geneva City Democratic Committee interviewed, and then recommended, a woman candidate to be appointed to the Ward 6 seat and to run as the Ward 6 Democratic candidate in November. However, at least two Democrats decided that they would not vote for the recommended candidate. Reportedly, no other candidates were seriously considered. Now, reports say City Council plans to announce that they will leave the seat empty to “honor” the late John Greco. Sources say that friends (or perhaps family) of the late councilor will publicly request that the seat remain empty, and that Ward 6 residents remain unrepresented, until after the November election. If this plan is adopted, it can be expected that anyone who speaks in opposition to this decision will be portrayed as being disrespectful to the memory of Councilor Greco. Sources say that Ward 3 Councilor Steve Valentino, who is the Democratic candidate for Mayor in the 2019 election, and Ward 1 Councilor Angelina Marino pushed council hard to agree to this bizarre and cruel plan to effectively silence the residents of Ward 6. The city covered up lead and arsenic contamination in Ward 6 for decades. The city failed to warn Ward 6 residents of a 5,000 gallon sewage spill in Marsh Creek. The city tried to erect a “Welcome to Downtown Geneva” sign separating the Ward 6 from the rest of downtown. A city-owned sidewalk in the heart of Ward 6 was left demolished for more than a year while a sidewalk in Ward 2 was almost immediately repaired. And now they want to take away Ward 6’s democratic voice. City Council could make it a priority to make sure that the ward with the lowest average income and the highest percentage of people of color in the entire city has a representative in city government. City Council could fight for the people of Ward 6, who have literally no one to fight for them at the moment. City Council could decide that the thousands of Ward 6 residents deserve, and are in fact entitled to, a representative in city government like everyone else. City Council could make bold decisions in the best interest of Ward 6, but instead they are reportedly trying to completely avoid any potential controversy and criticism by using the memory of our longtime Ward 6 councilor as a reason to deny political representation to the community he represented. And now, City Council plans to silence those voices as a tribute to Greco. If you live in Ward 6, contact City Council and let them know that we deserve representation and their plan to deny us that representation is offensive and unacceptable. If you DON’T live in Ward 6, WE NEED YOUR HELP. Please contact City Council and let them know that everyone deserves the same level of representation in city government, no matter their or economic or social status, background or race.